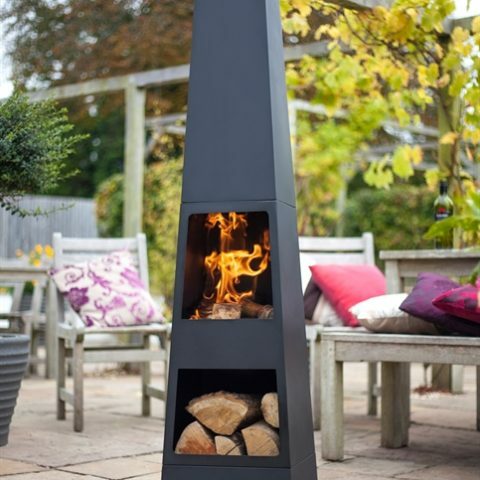 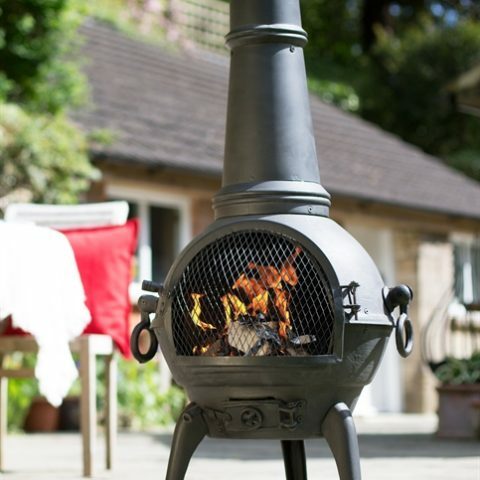 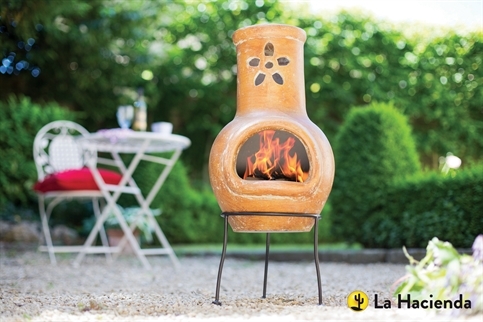 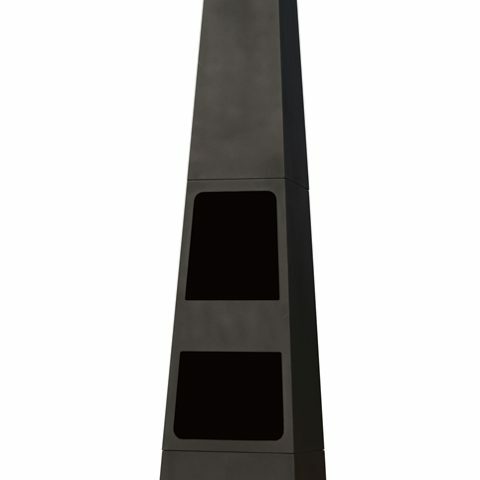 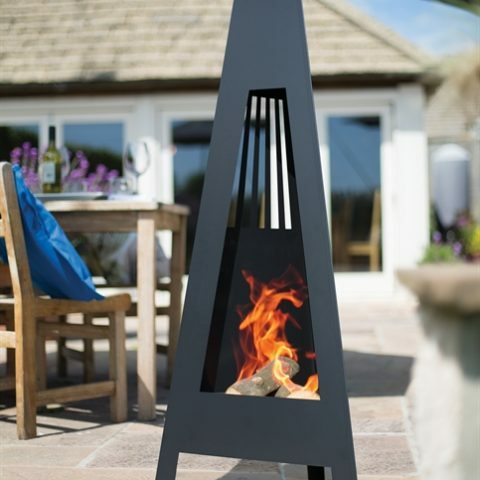 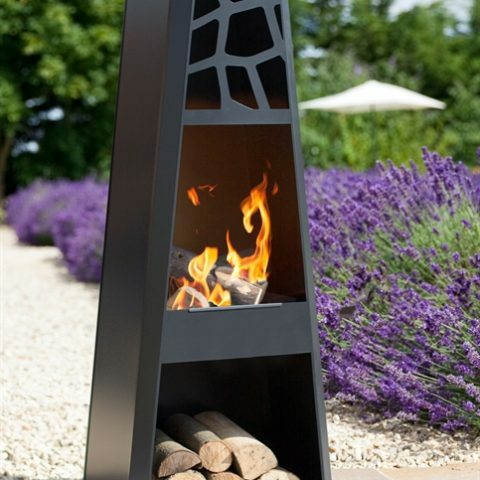 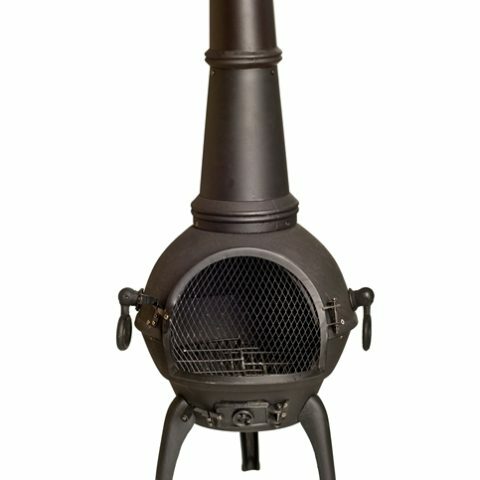 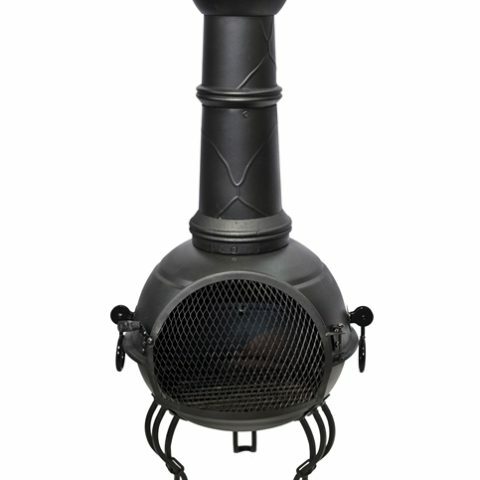 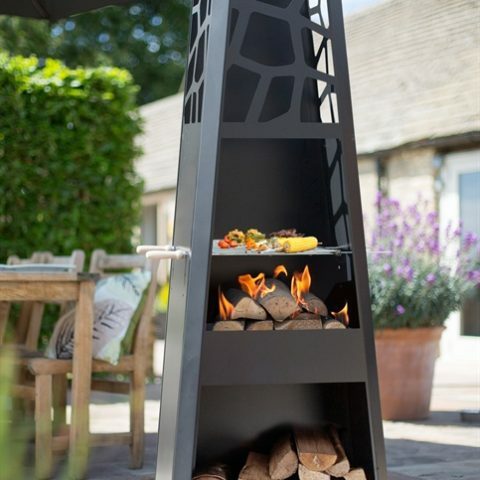 Small and stylish, the cutout flower design helps this chimenea stand out from the crowd. 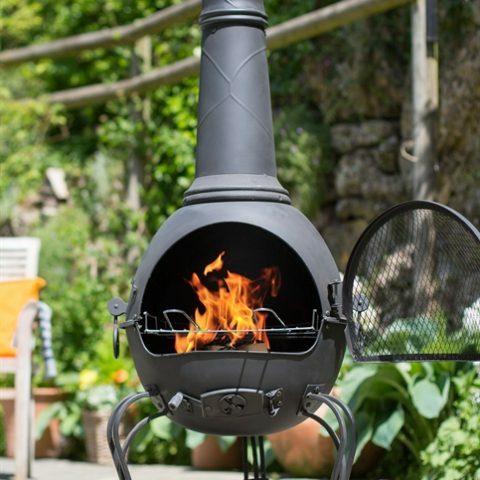 Very simple to use, create a fire using logs within the mouth of the chimenea, relax back on your favourite patio furniture and and soak up the warmth of a real wood fire. 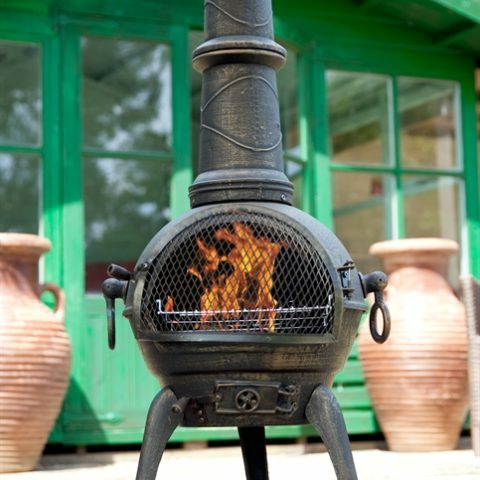 Handmade for an authentic style finish. 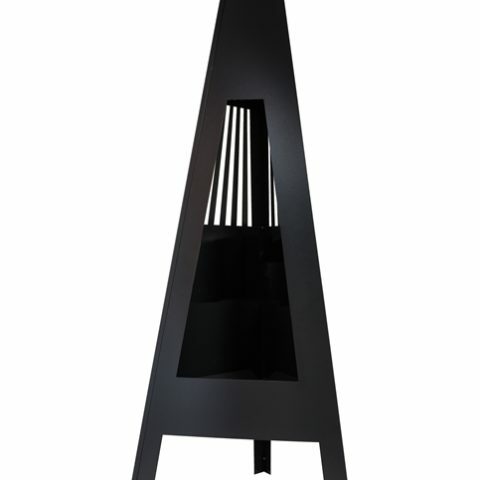 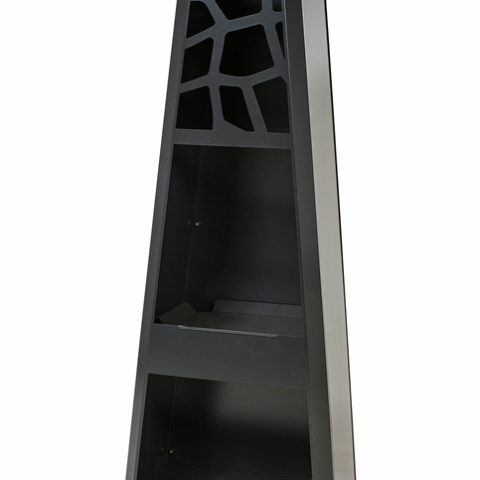 Features a solid steel black powder coat stand. 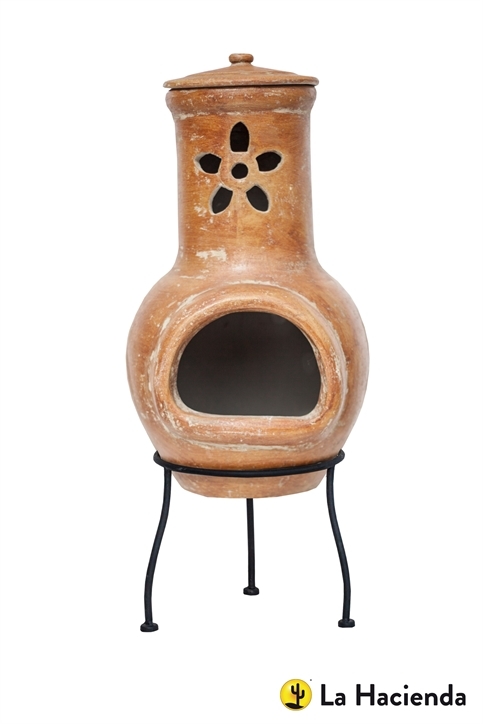 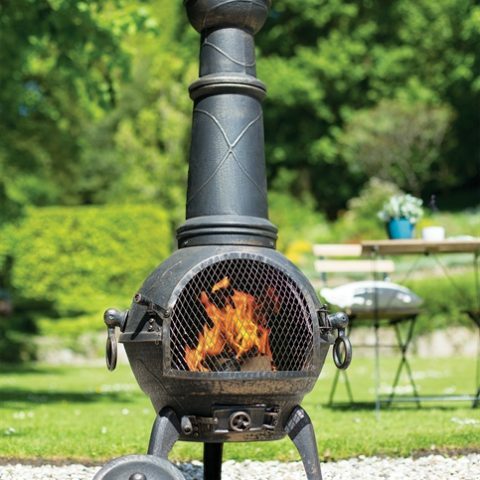 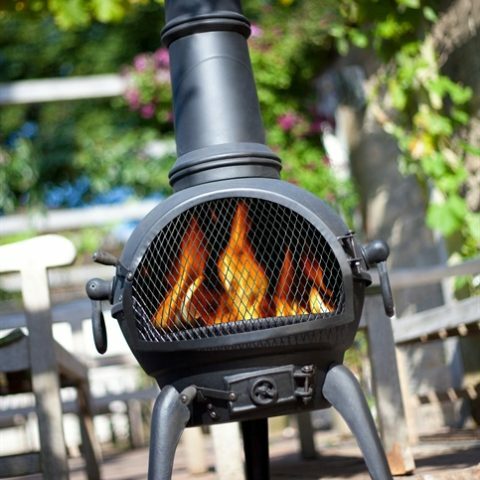 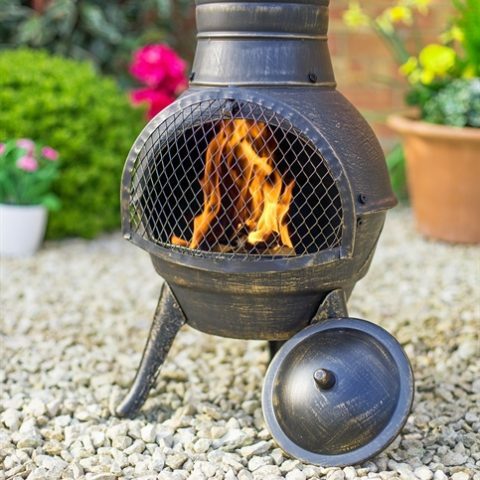 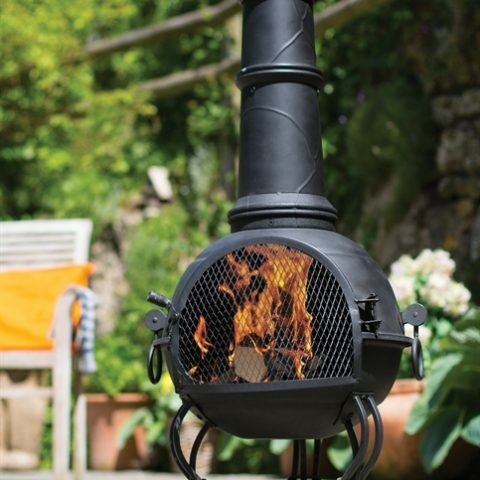 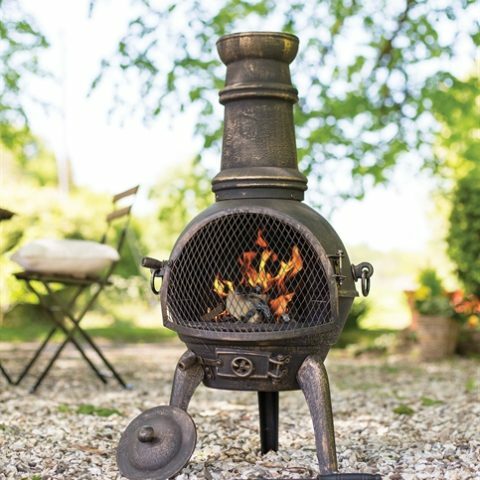 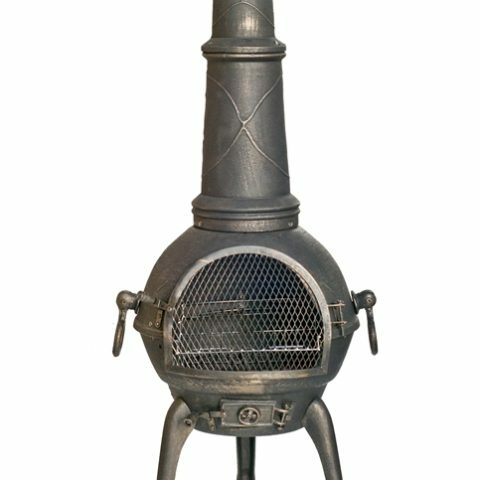 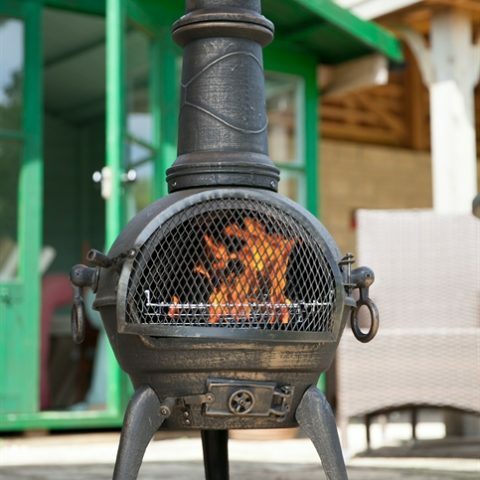 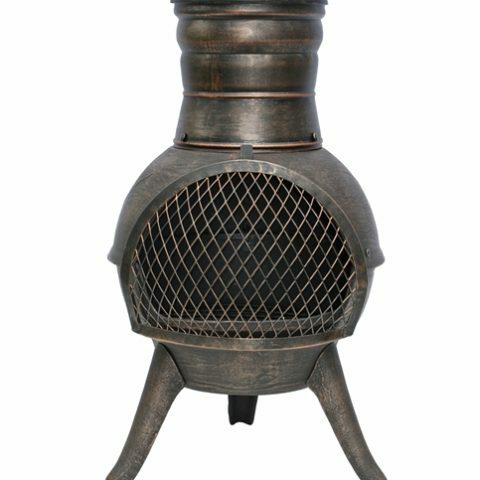 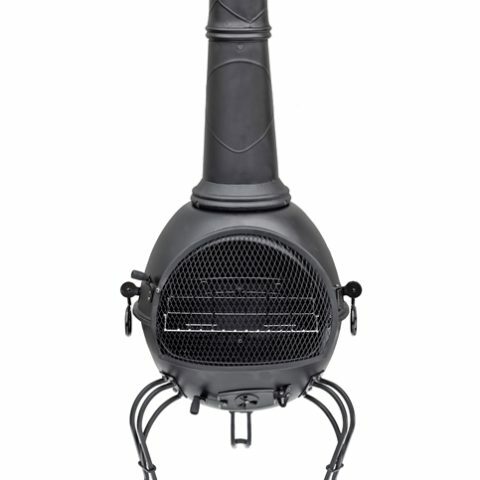 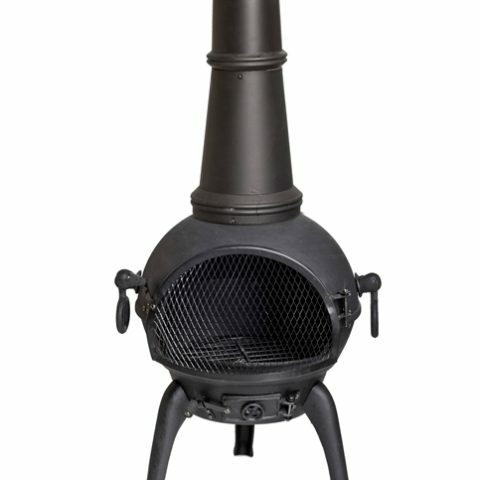 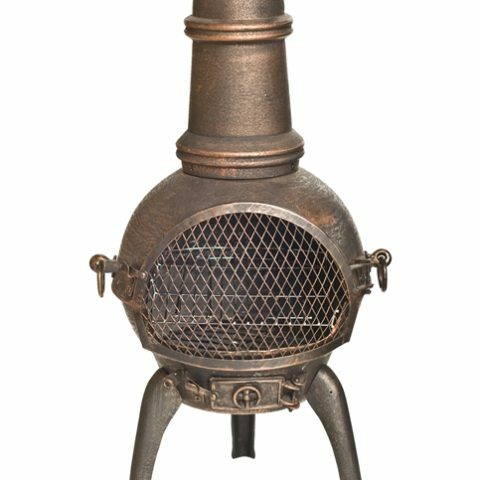 Buy this classic chimenea now to add essential heat to your garden on those chillier evenings.